We offer group therapy for individuals who want a shared therapeutic experience with others who are working through similar issues. Some programs we offer are Anger Management, Dialectal Behavioral Therapy, Depression, Life Skills, Anxiety, Stress Management, and much more. All our group participants are expected to keep information shared confidential. Ask your clinician for group information and referrals. This is an ongoing group for adults diagnosed with both a mental illness and substance abuse problem. 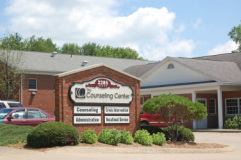 The program can benefit individuals who occasionally abuse substances, or those who have been addicted to drugs or alcohol for many years and can assist those who suffer from depression, anxiety, thought problems, trauma and many other mental and emotional problems. This is an ongoing group for women diagnosed with a severe mental illness which provides community living skill development and education about mental illnesses, healthy lifestyles, relationship problems and ways to cope day to day with the issues and demands on women today. This is an ongoing skills-based group for people who feel prone to anger, have episodes of depression, are burdened by impulsive behaviors, have fear of abandonment or are caught in chaotic and conflictual relationships. Learn to regulate your emotions, become interpersonally effective and use crisis survival strategies. Change behavioral, emotional and thinking patterns associated with life problems.